Two Copplestone Castings Big Game Hunters with Elephant guns, very useful for shooting Lions and Armoured Cars in Deepest Darkest Hereford. 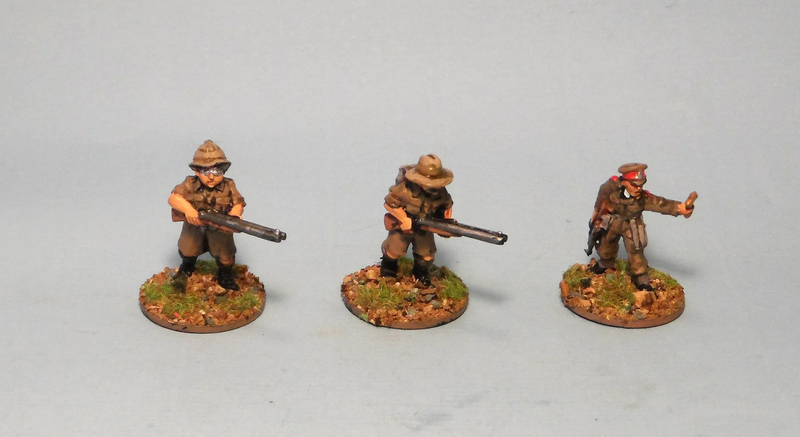 Military Padre by Warlord games. Craters – I have yet to see a rules set to come up with some rules for how the repeated shelling of a target carves up the landscape and makes it more difficult terrain. Sandbags and barricades. Nice and simple, barricades by Hovels, sand bag emplacement resin unknown manufacturer.